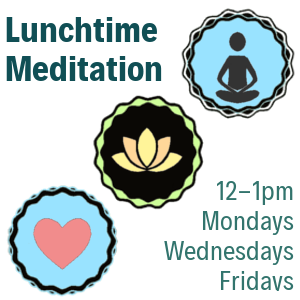 Mondays, Wednesdays and Fridays from 12 p.m. to 1 p.m.
Change your mind, change your day. Through meditation, we learn to reduce stress and improve our mindfulness and concentration. This, in turn, makes us more relaxed, flexible and effective. In these classes, we will emphasize creating happiness for ourselves by developing a peaceful mind. Experience for yourself the effect a peaceful mind has on your day! 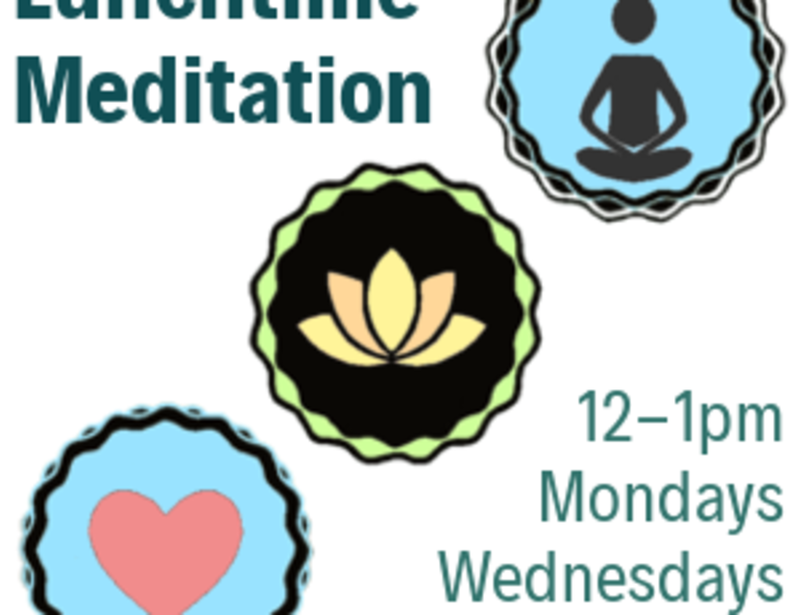 Through meditation, we learn to reduce stress and improve our mindfulness and concentration. This, in turn, makes us more relaxed, flexible and effective. This class is a great way to get ready for the week. Through meditation, we learn to reduce stress and improve our mindfulness and concentration. This, in turn, makes us more relaxed, flexible and effective. This is a perfect way to get a boost in the middle of the week and the middle of the day. Through meditation, we learn to reduce stress and improve our mindfulness and concentration. This, in turn, makes us more relaxed, flexible and effective. This is a perfect way to get a boost at the end of the week.